Detection, characterization and quantification of biomolecules, cells in fluids for a better knowledge of biological, agrifood and environmental mechanisms. To reach the objectives, the group relies on multidisciplinary skills in biochemistry, engineering sciences and an important technological potential. 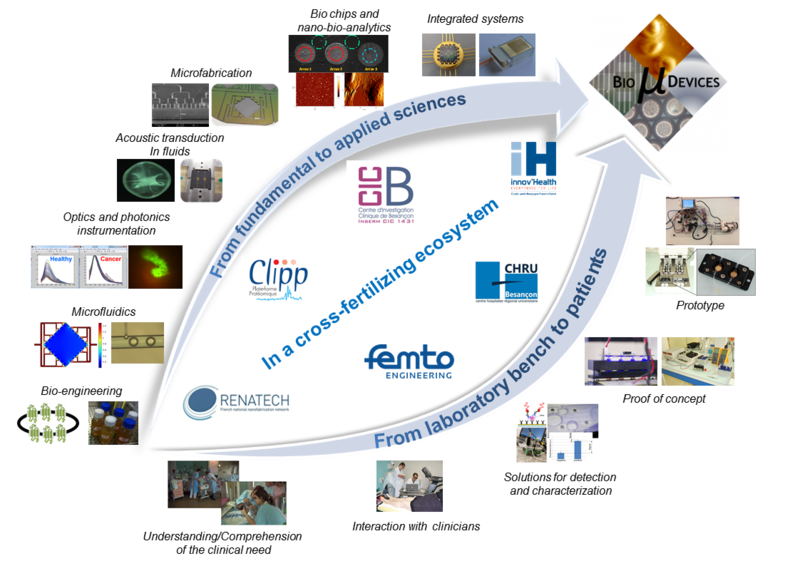 The strong link with the Besançon Clinical Investigation Centre for Innovative Technology and the Besançon university hospital are also evidence of the commitment to the needs of actors in the medical and biological world for patients. Know-hows and research axes are summarized in the following picture.